Decal with opportunity make 25 marking variations of Yak-3 family aircraft's all types, aces pilots of the VVS RKKA. 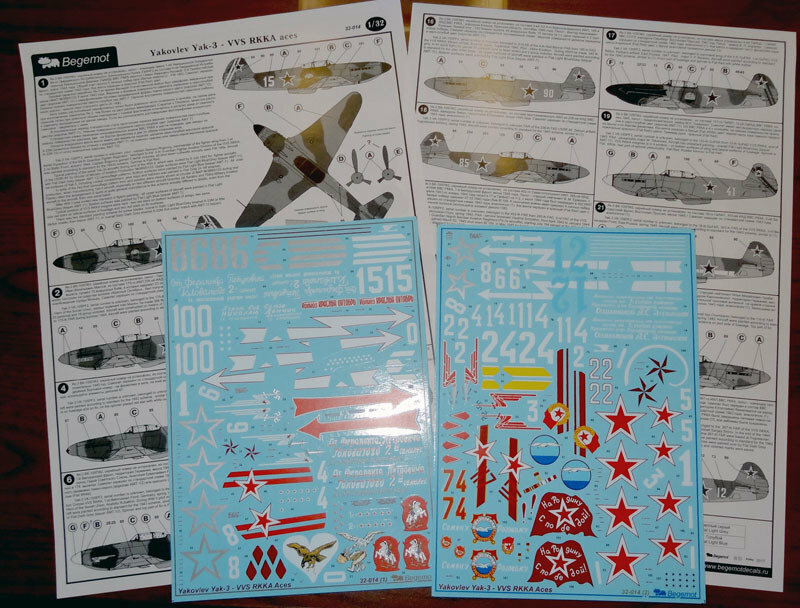 There is full stencil set for one aircraft included in this decal set. Including two big size decals and 4-pages A3-size instruction.